Shop boutique trends including boho inspired styles, tunics, crochet and lace tops, maxi dresses, activewear, sunglasses and more. Enjoy 75% below wholesale price, domestic free shipping and 10% off your first order! JODIFL is a young contemporary women's wholesale clothing company based in the heart of the fashion industry of downtown Los Angeles. Established in 2014, it's members carry over 10 years of experience in the garment industry. Jodifl's number one goal is to provide the best to retail owners. We specialize in all women's dresses. Party, wedding, bridal, special occasion, club and young contemporary dresses. We have a wide arrange of mini, midi, and maxi dresses. Regular and plus size available. New items added daily. 18. GM Fashion USA, Inc. WHOLESALER SPECIALIZING IN PASHMINA, DOUBLE LAYER PASHMINA SCARF, CASHMERE FEEL SCARF, SHAWL, FASHION SCARF, INFINITY SCARF, JEWELRY FASHION SCARF, HEADBAND, ANIMAL HAT, GLOVES, FASHION HAT, KNIT ANIMAL HAT, EARMUFFS, CHILDREN GLOVES, CHILDREN EARMUFFS AND FASHION DRESSES. As an industry leader for more than 30 years, Focus Fashion brings you chic, stylish, and comfortable clothing for women. We use fabrics such as linens, soft cotton, knits, and woven. 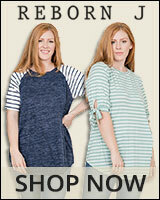 Some of our products include dresses, blouses, skirts, shirts, fashion accessories, and more.